Learning requires much more than just instruction! then America’s schools wouldn’t be struggling. If a student misses even one step in that process, they will struggle to learn. But only one step of that – the teacher’s presentation – is within the teacher’s control! The rest is all within the student. And this is why America’s students are struggling. Many students today struggle to sit calmly in a chair, focus their attention, maintain their attention, etc. Across the country, students are slipping behind and not achieving their potential in reading, math, spelling, and basic academic skills. Even average students are behind their peers from other countries. we need to strengthen students’ processing skills. “Processing” is an umbrella term that describes a student’s abilities to do all of those fundamental learning skills listed above: focus on the teacher, pay attention, synthesize instruction, apply concepts, remember lessons, and call upon learned information later to use it. A student with strong processing skills can learn quickly and efficiently. A student with weak processing skills will struggle to learn – no matter how often material is presented. 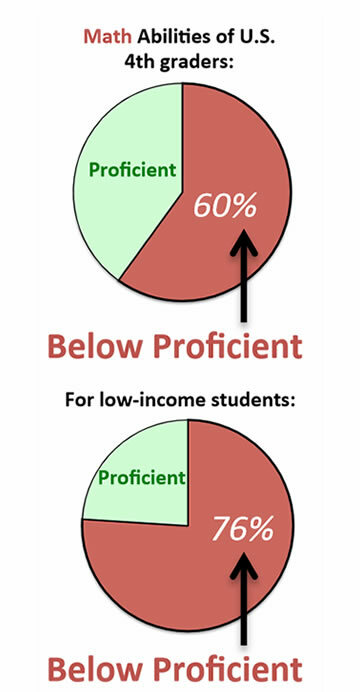 This is why tutoring or additional instruction is ineffective for a student with weak processing skills. So how do we improve a student’s processing skills? Processing is controlled by an area of the brain called the cerebellum: a fist-sized lobe at the top of the brain stem. Though small, the cerebellum contains almost half of the brain’s neurons – and it’s obvious why. The cerebellum coordinates all body movement – and feeds information via dense nerve fibers to the parts of the brain involved in memory and attention. In other words: the part of the brain that moves the body is instrumental for learning. This movement-learning connection is backed up by decades of research on child brain development. And, it offers one possible explanation for why America’s schools are struggling: schools often respond to low academic performance with longer school hours, longer school years, and reduced recess and play time – cutting the time that children move their bodies. Kids today just don’t move as much as they used to. brain’s natural link between movement and learning. Learning skills are further strengthened when the movement is synced with inherent timing systems in the brain. Hardy programs are set to a timed beat that is part of the way the brain naturally processes information. The dense nerve fibers that take information from the cerebellum up to the cortex for processing are arranged in patterns to handle information most effectively. Information taught in patterns is stored more easily in the brain. Rather than present information randomly, HBC programs teach in patterns that make learning and recall easier. HBC teaches the most critical reading, spelling, and math skills to Boys and Girls Club members in grades 1 through 6 – using movement, timing, and patterning. 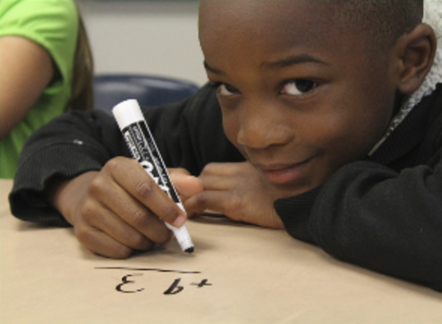 As a result, Club members learn math, reading, and spelling – and they increase their overall attention, focus, processing, and thinking skills. Club members who participate in our programs see growth in other academic areas too – because they have improved their brain’s ability to process information. The best part is that increasing processing speed by training the cerebellum enhances the academic performance of every student – not just those who are struggling. Academically gifted students who increase their processing speed also see a dramatic increase in their performance! And, all of this can be accomplished with 21 hours of training in a group setting with a Boys and Girls Club staff member as the trainer.